What’s your logo? This is often one of the first questions that we will ask for a corporate function. Of course we do not have to theme the floral arrangements to the corporate logo but often it is very fitting. 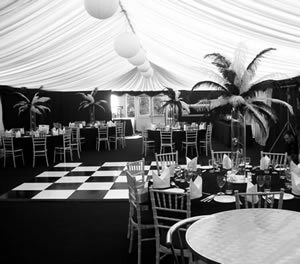 At Beautiful Blooms we have a wealth of experience in designing individually tailored themes. We are not dependent on wholesalers for our supplies and as a result have access to just about any type of flower we wish to use. In short if it exists as a cut flower, we can get it. 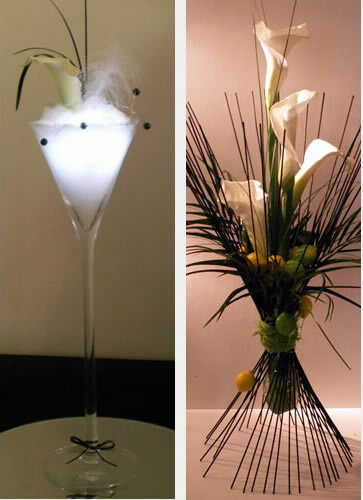 As well as corporate functions we also supply regular arrangements for company offices, hotel reception areas etc. This can work out much more economical than may be imagined and we are always delighted to provide a no obligation quotation. One further area of our work is office plant rental. We install and fully maintain complete specimen planted units. Again, we have access to a huge variety of plants and planters and are always pleased to provide a free site visit and no obligation quotation for your requirements.